Rhiannon Jones is a lecturer in psychology, specialising in cognitive neuroscience. Her research focuses on the EEG correlates of cognitive biases, such as thought-action fusion, and genetic influences on emotional memory. The paper on 'the electrophysiological basis of thought-action fusion and thought suppression and their relationship with obsessive-compulsive symptoms" published in Neuroimage: Clinical was part of her PhD. 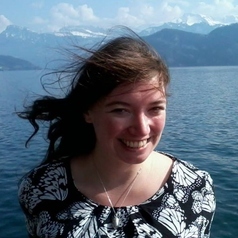 After finishing her PhD in 2012, Rhiannon worked as a teaching and research fellow at the University of Westminster before moving to University of Winchester in November 2013.